ACI 2013 Denver Post Conference Review Greetings PlanetSavers, Back from the Affordable Comfort Institute's 2013 Denver Conference I wanted to apologize for the live broadcast technical problems two weeks ago. In the past we've had success with similar on the spot interviews but the logistics this last time proved difficult. Even so, the conference was worth discussing so I hope any fellow attendees or those interested in the latest developments or future attendance will join me tonight at 6PM PDT. To download this Webex presentation click here. To watch this audio/video presentation you’ll need to install the FREE Webex .ARF Player for either Windows or Mac....Continue Reading! 1060 C St. Orange Cove Tightening or Slashing Remodel Budgets A constantly reoccurring question in Green Renovation is how to get the most out of a remodel budget. Some considerations include: What can I afford to cut? What can't I afford to cut? What flipping costs are recoverable? What buy and hold costs are recoverable? How much of an Energy Package can I afford to include? 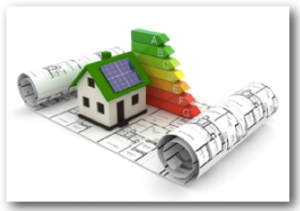 What's the best loading order for a Phase 1 and Phase 2 energy wise retrofit? 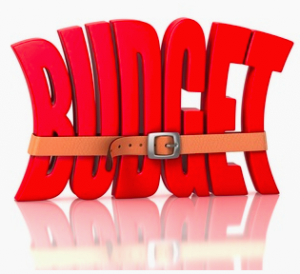 We'll be addressing these and other questions as we take another look at the budget for 1060 C. Street Orange Cove CA recently purchased by Larry Weingarten via...Continue Reading! Pacific Palisades CA Energy Decisions and Contractor Conversations This Tuesday we'll be checking in on a property in Pacific PalisadesCA featured in past webinars. Working on a 1,000 sqft energy efficient addition, the owner's working with a tight budget and an experienced General Contractor without special training in green building. After shopping some options HVAC, insulation and plumbing decisions must be made that won't brake the budget while providing maximum comfort, health and energy savings. With tens of thousands of homeowners facing similar situations we'll be addressing the following questions in particular: What's the biggest bang for the buck in energy efficiency? How best to communicate...Continue Reading! Budget Loading Order DOE Test House Rent Remodel As many of you know in 2011 we partnered with the Department of Energy through IBACOS on a dry and hot climate test house located at 440 N. Homsy Fresno, CA. 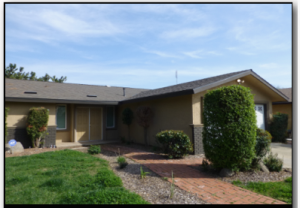 Click here for project overview After 18 months of testing IBACOS recently did a results webinar and having removed their equipment they've turned the keys back to us to finish the remodel and get the property ready for rent or sale. The owner-investor has obtained and placed multiple homes with us to manage all aspects of each project. He's in the process of refinancing a...Continue Reading! 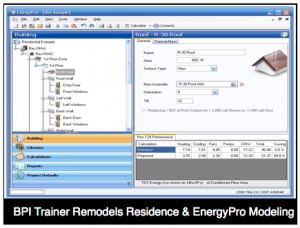 EnergyPro Modeling BPI Trainer Remodels Home This week I'll be interviewing Aaron Husak, our resident Certified HERS Rater and BPI Trainer regarding his plans for an energy wise remodel of his newly purchased home in the Fig Garden area of Fresno CA. Built in 1951, his 2 Bedroom 1 Bath 900 sqft home recently closed escrow. Aaron's already started his before and after calculations using EnergyPro modeling but is anxious to hear what we think about the project. 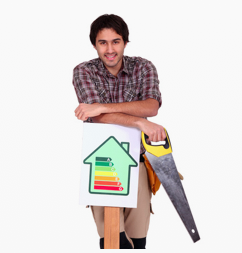 Join us Tuesday 6PM PT as Aaron walks us through his green remodeling strategy and EnergyPro reports. As always your questions and comments are appreciated. FYI: Just...Continue Reading! Open Forum What Buyers Want & 90% Energy Savings We hope you had a chance to benefit from some or all of our recent great guest interviews. If you missed any click here to view archived webinars. This week we thought we'd offer another Open Forum were you can bring your questions or comments, thoughts or projects for group discussion. 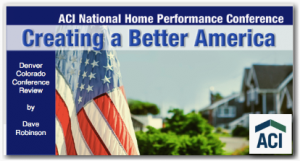 Discussion on CNBC National Home Buyers article in response to National Association of Home Builder's Study on "What Home Buyers Really Want." Wants: #1 Energy Star Appliance #2 Ceiling fans #3 Garage storage systems #4 Willing to trade space for upgraded amenities (granite Ceasar,vs Formica) #5 Green home features but...Continue Reading! Devon Hartman Interview Claremont Home Energy Retrofit Project Tonight we have a special guest interview with Devon Hartman co-founder of CHERP: Claremont Home Energy Retrofit Project. CHERP Claremont is a fantastic prototype organization bringing volunteers and professionals together who believe that "Energy is at the Heart of the Matter." 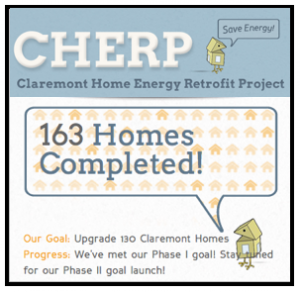 Having reached their initial goal to complete energy retrofits on 1% of the single-family homes in the city of Claremont, CHERP's raised it's target to 10% while looking to duplicating itself in other cities throughout California! With many case studies to showcase, Devon's looking forward to discussing his low cost - high impact method of...Continue Reading! Investment Plan Home Performance Phase 1, 2 and 3 Tonight we will work on an important tool that we all can use in communicating our message to our investor partners. Since we have moved from a flipping market to a buy and hold market, and have developed a preference (at GEE at least) for working with private investors rather than conventional lenders... we haven't communicated clearly enough how we expect to forward our mission of energy efficiency and at the same time maintain a profitable investment structure. We have spoken of "phasing the three packages," Energy, Wow! & Done. And we have been...Continue Reading! 2013 Dry Climate Forum Home Performance: Lake Comanche, CA Dave's attending the Annual Forum on Dry Climate Home Performance in Lake Comanche Sunday February 3rd to Wednesday February 6th. An invitation only event, tonight's Webinar will be a remote broadcast interview with attendees. 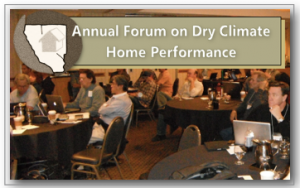 The forum's focus is on three goals: Continuing Education: Discussion of implementation of the building science recognizing the house as as system model. 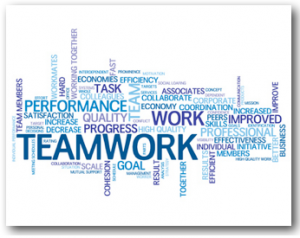 Technical Solutions: Sorting out the marketing from true measured performance. Teamwork: Representatives from CPUC, CEC, PG&E, SCE, SMUD, LBNL, NREL and EPA in addition to Home Performance contractors and trainers. Join us tonight 6PM Pacific Time to hear Dave's thoughts and...Continue Reading! 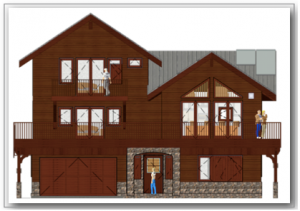 Passive House Shaver Lake CA Design Plans Tonight we'll be taking a look at a Passive House Project scheduled to break ground in Shaver Lake, CA in the Spring of 2013. Pete Moe, an airline pilot just in Asia, has had his build/design team looking over the plans for a year and is interested in our ideas on energy efficiency, as well as referrals for local builders. Pete has his blue prints and engineering plans ready so there should be lots to learn and discuss. Join us Tonight, Tuesday 6PM Pacific Time by following the instructions below. As always I'm interested in hearing your ideas...Continue Reading!